A new national health campaign is urging women over the age of 70 to check for signs of breast cancer. Be Clear on Cancer, launched by Public Health England, carries an important and straightforward message - 'don't assume you're past it'. 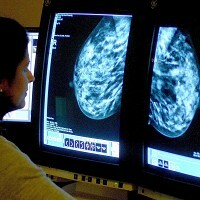 The latest figures show one in three women diagnosed with breast cancer in England each year are aged 70 or over. Furthermore, this age group also accounts for more than half of all breast cancer deaths recorded annually. Actress Barbara Windsor, 76, is one of the famous faces backing the nationwide campaign. "I met a lot of women affected by breast cancer when I was preparing for Peggy Mitchell's diagnosis in EastEnders, which made me realise just how important an early diagnosis is," she said. "You get to a certain age and think you're too old for some things, but breast cancer isn't one of them." Be Clear on Cancer wants anyone who notices changes in their breasts to contact their doctor immediately, as catching breast cancer early makes it more treatable. Figures, for instance, show that more than 90% of all women diagnosed at the earliest stage of the disease survive for at least five years, while this figure is around 15% for those diagnosed at a later stage. Around 13,500 women aged 70 and over are diagnosed with breast cancer in England each year, yet survival rates are lower in this age group compared to younger women. A lack of awareness of symptoms other than a lump, such as changes in the shape or size of the breast, is believed to be one of the predominant reasons for this - something which the campaign aims to change. Surprisingly, and rather worryingly, 67% of women aged 70 and over wrongly think women of all ages are equally likely to get breast cancer, when in fact a woman's risk of breast cancer increases with age. Whether recently diagnosed or recovering from successful treatment, breast cancer travel insurance offers women peace of mind on holiday - just in case something unexpected happens. Individuals over the age of 70 can also take advantage of seniors travel insurance when heading away on a break.